A nightclub in Istanbul has been attacked by armed men, who have killed at least 35 people and injured many more. Istanbul's Reina nightclub has been attacked, local media are reporting. A Turkish TV channel has shown footage of armoured police vehicles on the street outside the club. 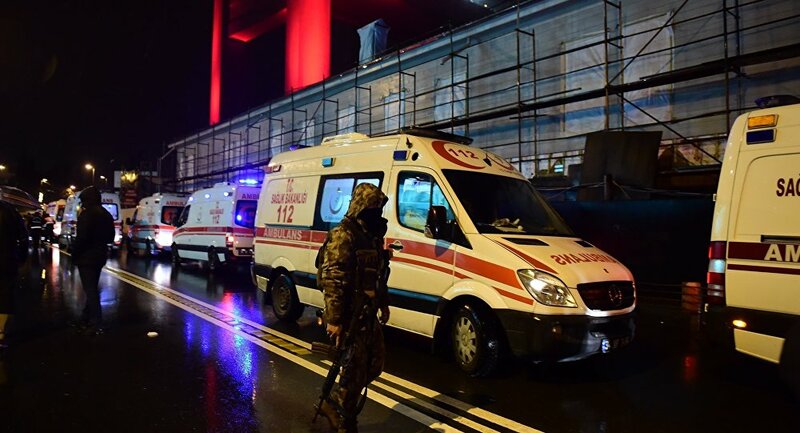 Istanbul Governor Vasip Sahin announced that at least 35 people were killed and 40 injured as a result of the attack on the nightclub in Istanbul's Ortakoy district. Guests at the club are sharing footage of bodies lying in the street on social media. ​According to Turkey's NTV channel, two attackers were involved in the Reina nightclub attack. The shooters were wearing Santa Claus costumes, according to media reports. The police forces are searching the building, it is being reported. There were from 700 to 800 people in the Istanbul’s nightclub Reina, local media reported. The attackers were reportedly speaking Arabic.